Explore trace, reductive, additive, and viscosity approaches to monotype, as well as drypoint and chine collé techniques, in this fun and informative class. 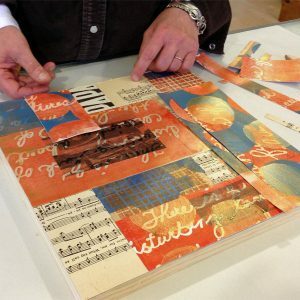 Create original mixed media collages that include your own hand-printed papers, using oil-based inks and acrylic washes. Incorporate found objects in your compositions.